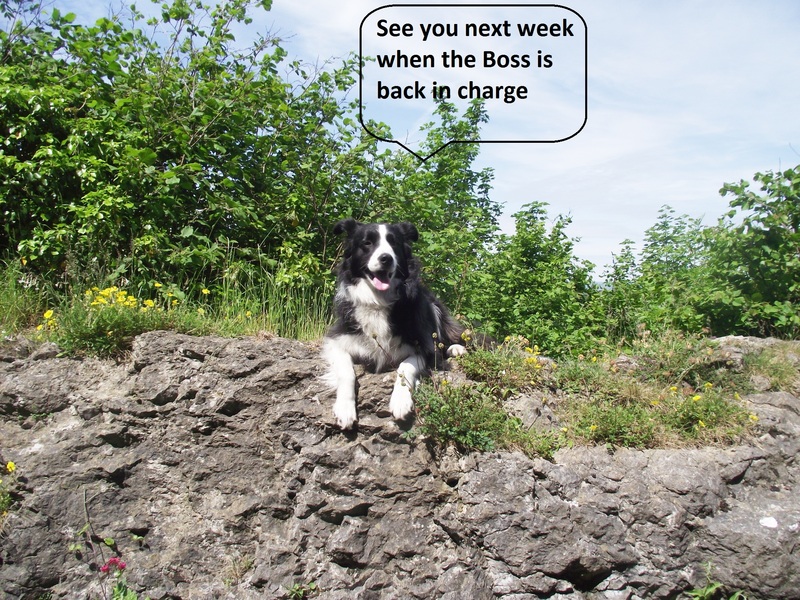 Well, there nearly wasn’t a blog this week – ‘The Boss’ and ‘Mrs Boss’ have moved house to Wales, and you wouldn’t believe the mess that the new place is in!! How do you humans accumulate so much stuff?! 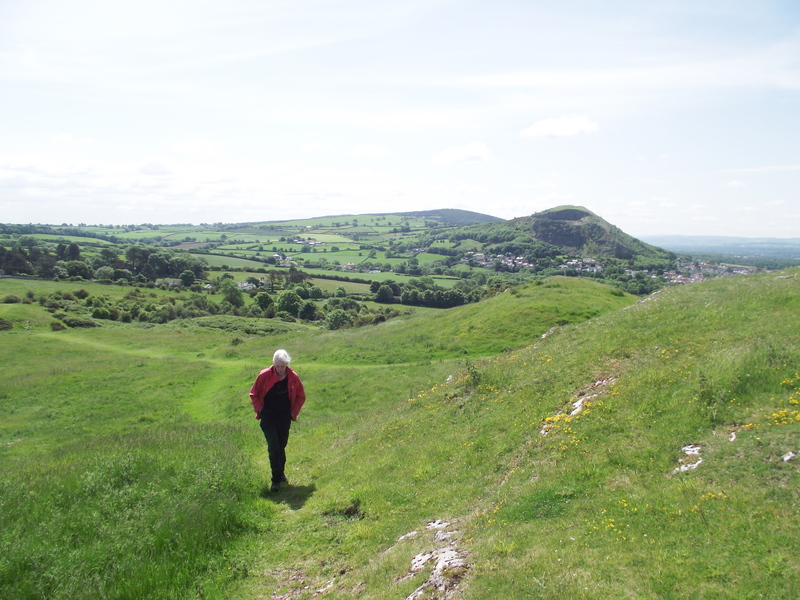 Instead of heading off to the hills or writing the blog, they are both unpacking loads of cardboard boxes, so this week I’ve hijacked the blog. 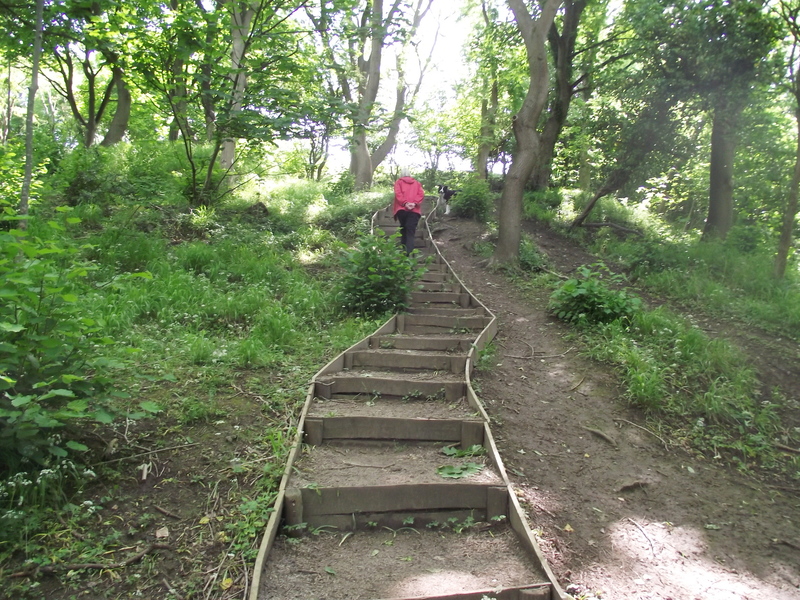 Mind you, they are fitting in a good walk for me every day, bless ‘em. 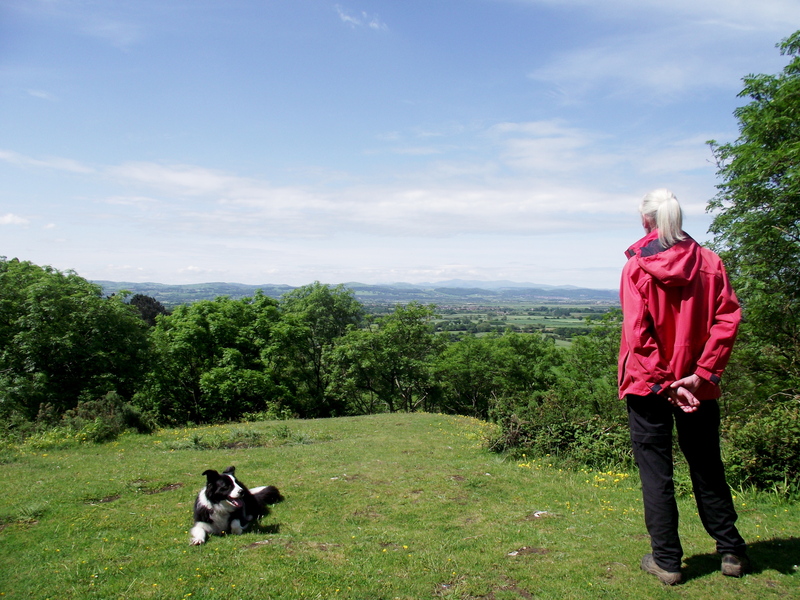 The Boss wrote about our new house and a great walk nearby in post #73, but my favourite walk at the moment is a little hill called Craig Fawr. ‘The Boss’ knows a few words of Welsh, so I know that Craig Fawr means ‘Big Crag’. I’ll let you all into a secret – it’s not really all that big! 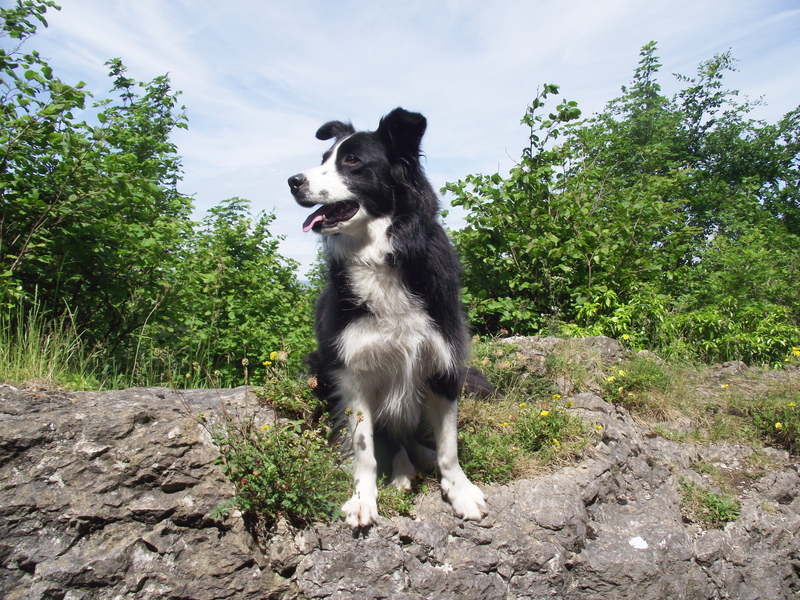 Our house is at about 110 metres and Craig Fawr is only 153 metres high, but what the heck, I like it – there are rabbits and things up there, and I always meet some of my doggie mates along the way. 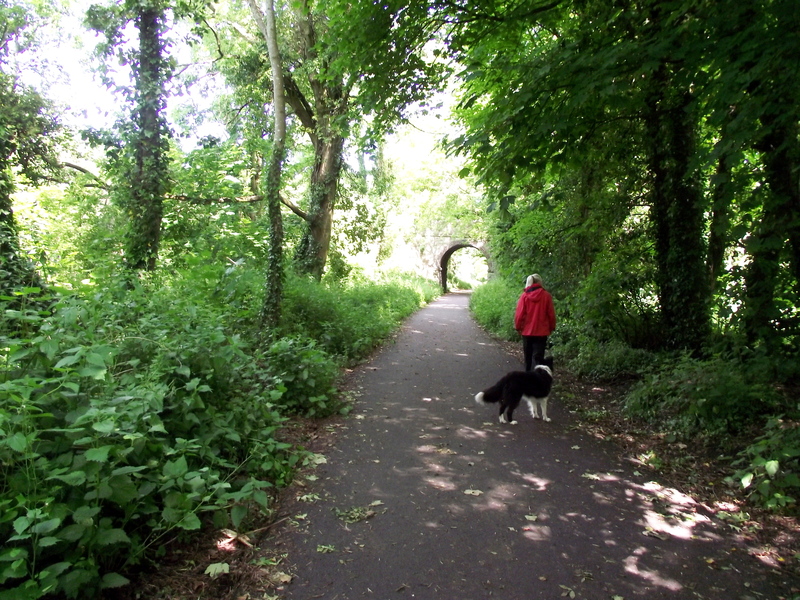 Our route follows a cycleway that was once a railway line. (I know about those, ‘cos I’ve been on a train a couple of times) There are dogs to ‘meet and greet’ and sticks to carry, it’s all great fun for a dog. On the way up ‘The Boss’ and ‘The Mrs’ always spend time looking at the Snowdonia Hills – I’ve done a few walks there already, and I can’t wait to do more, once they’ve finished unpacking their stuff. … but I’m down first, as usual! 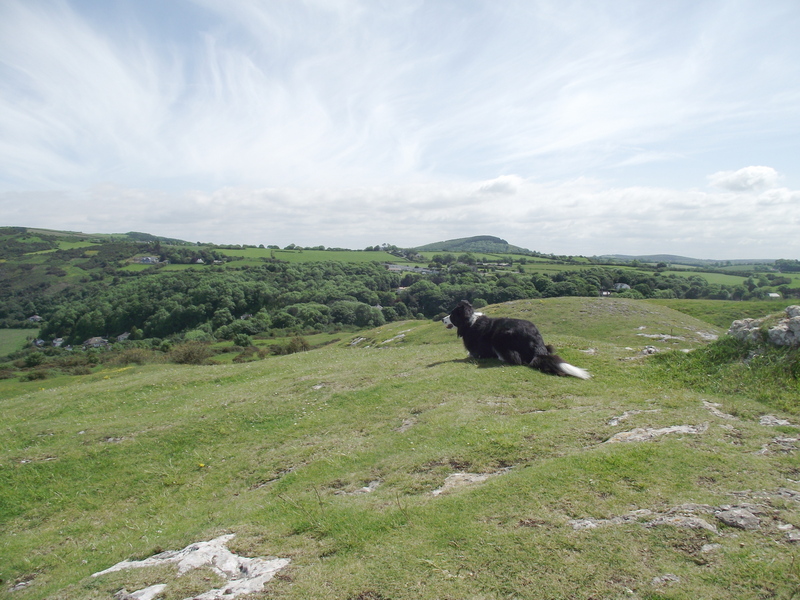 We get great views from the top of Craig Fawr, with lots of interesting things for me to sniff at, then it’s time to head back down. 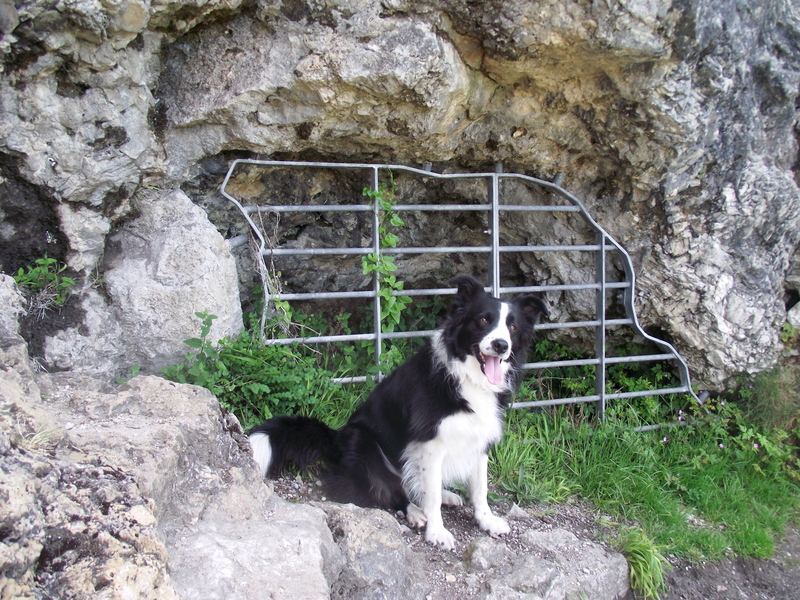 We usually look at some small caves on the way back, but I’m not allowed in! 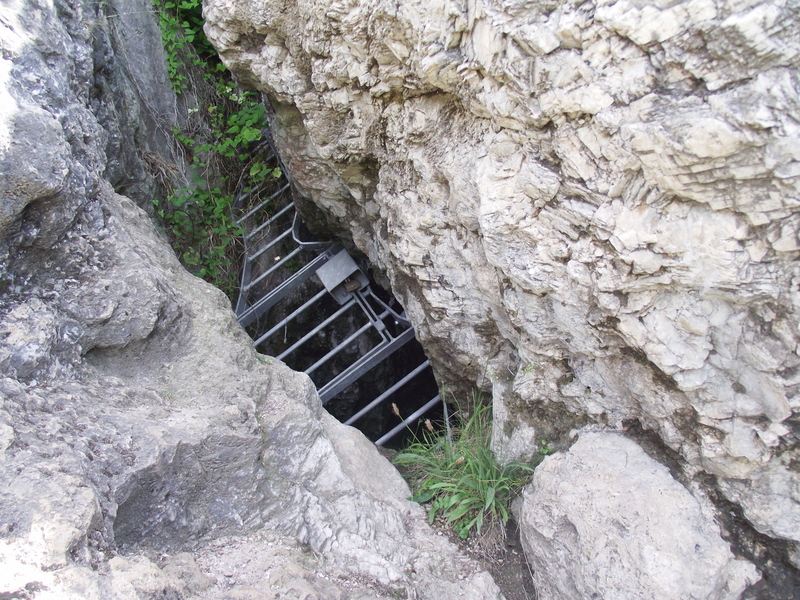 Huh … I didn’t want to go in anyway! 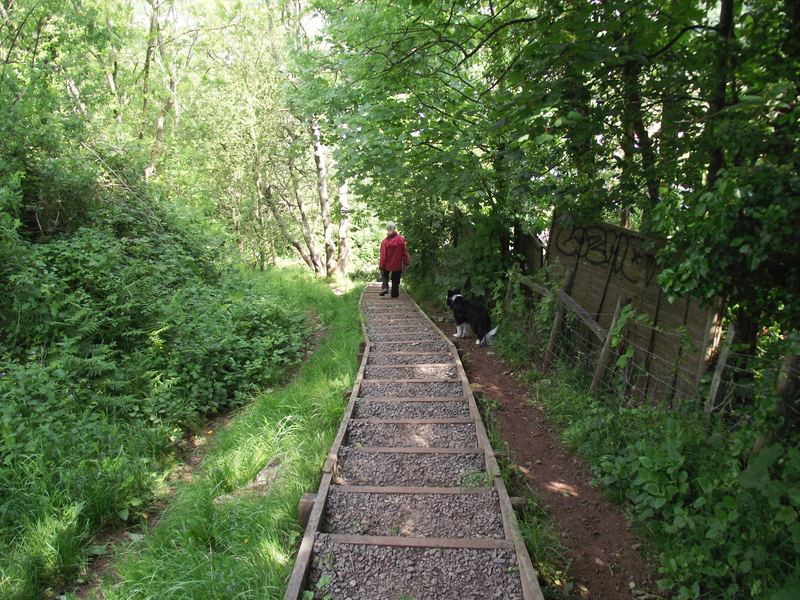 Anyway, The Boss should have the boxes sorted by next week, so I suppose I’ll have to give the blog back – pity, I was just starting to enjoy myself! This entry was posted in 5. 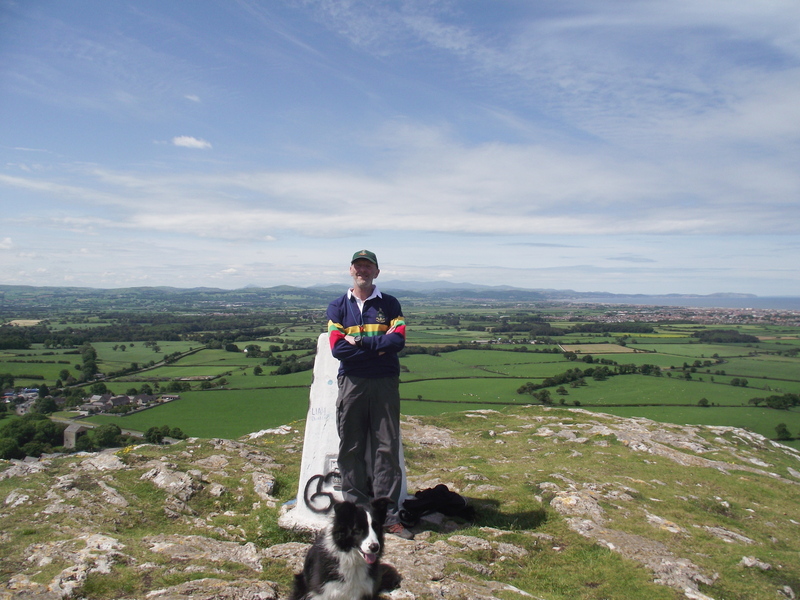 North Wales and tagged Border Collie, Clwydian Hills, hillwalking, photography. Bookmark the permalink. Looks like the move is going well then – great stuff! 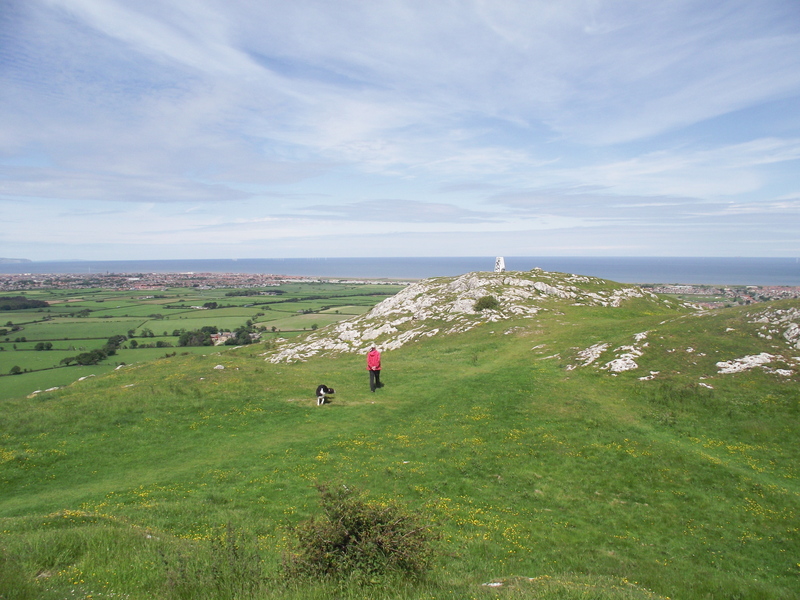 Good luck on your house move to Wales, it looks like you brought the good weather with you! 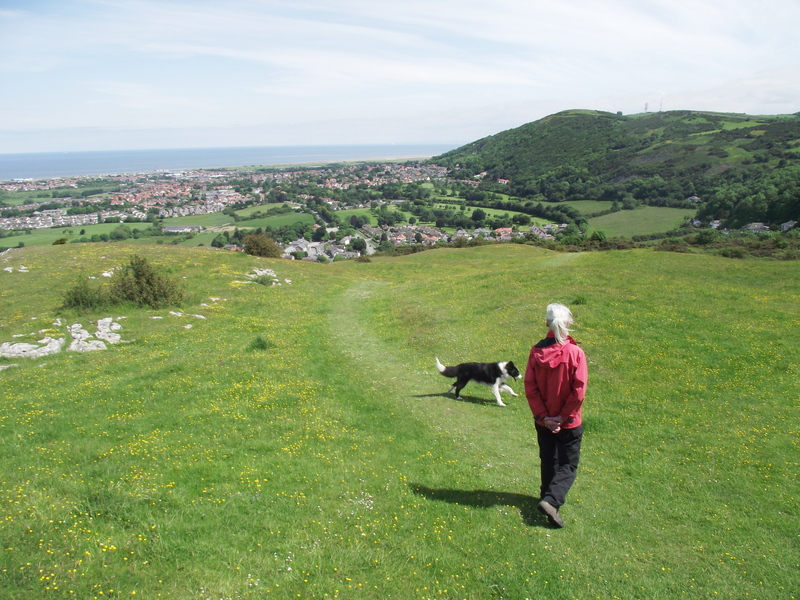 North Wales – you lucky people to have moved there. This brought a smile to my face, and renewed determination to get up to Snowdonia this summer. 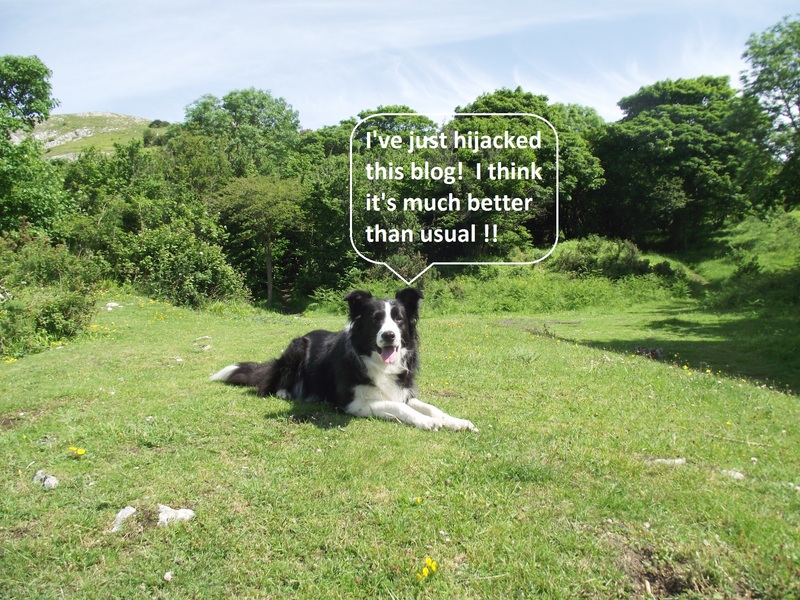 I think you may have a future in blogging! 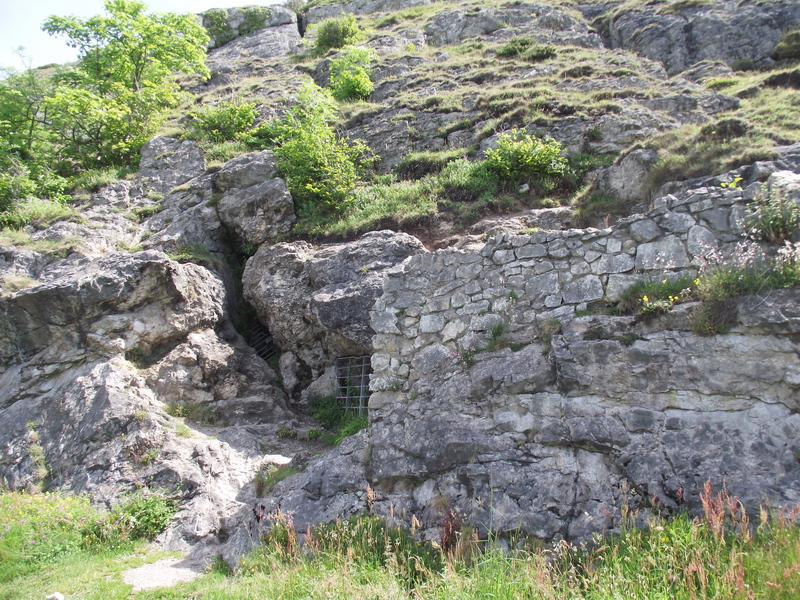 Those caves look interesting – do local cavers manage to get access do you know?